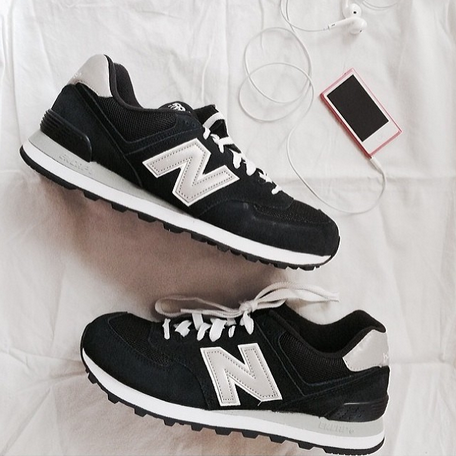 I have been lusting over these New Balances since last year, so I finally decided to just buy them already! I am, of course, very pleased with this purchase and have been wearing them as much as I possibly can ever since they arrived in the mail. I took this pics after a quick coffee break earlier this week- our erratic Sydney weather has meant that long sleeves and plaid shirts have become my uniform of choice. In other news, being me, I accidentally ordered the wrong size in my New Balances the first time around (the perils of buying shoes on the internet!). So I currently have a brand new in box size UK 8/US 8.5 pair like the one above, sitting in my room. If anyone is interested in buying them off me, send me an email at ellese2@hotmail.com. Hope everyone is making the most of the early autumn sunshine!